Today marks the start of the Climate-KIC Climathon, a global 24-hour hackathon series that will be hosted simultaneously in major cities around the world on 18 June 2015. In London, UK, the Climate-KIC Climathon runs from 12.00 noon until 12.00 noon the following day and is organised in collaboration with The Hub Westminster, Leibreich Foundation, Open Sensors, The Climate Group, The Greater London Authority (GLA), Clean Web UK, Represent, Clean Web UK, Represent, DECC, EcoHustler and Carbon Coin. The London event is being divided up into five challenges covering: Energy, Water, Waste, Governance and boosting a new Eco Cryptocurrency. – Air Quality – Improve air quality in London, find ways for people to track it in order to avoid highly polluted areas. – Governance – Enable people to submit, rank, broadcast and amplify policies for COP21 and link to global campaigns calling for effective climate action. – Energy 1 – Help Londoners shift or reduce their energy demands for maximum gains – Map supply and demand energy assets in London so that cost effective efficiency savings can be made. – Energy 2 – Work on the potential for solar photovoltaics in London. – Waste – Help Londoners access the circular economy, for example by making waste streams productive through textile recycling or other activities. – Water – Encourage and enable water use best practice in London. – Carboncoin reward app – Link positive eco behaviours with rewards from Carboncoin. Climate-KIC’s Climathon brings together cities and their citizens to actively solve a real local climate change challenges. Teams with the best ideas will be selected to enter a coaching trajectory to further develop their idea into a viable solution for the cities. The best ideas will be selected and presented at COP21 in Paris. Additionally, several of the partnership organisations are offering coaching, mentoring and business development opportunities including – Represent, Carbon Group, GLA and Open Sensors. Climathon partners have rallied around to offer some exceptionally exciting prizes and opportunties. For example, Carboncoin are offering 80,000,000 carbon coins as a prize. If Carboncoin follows a trajectory that is anything like Bitcoin the winner will be extremely wealthy. The Hub Westminster are providing their exceptional event space which is fully tech-enabled with the full support of their highly skilled staff – no strangers to the fast pace of a hackathon. London is a booming metropolis with thriving and expanding technology and ecological sectors. The Greater London Authority (GLA) has been very active in supporting collaboration and innovation that enables and empowers citizens, businesses and organisations to step up to key challenges linked to a changing climate and resource constraints. A new vision of the city is emerging where large areas are ecologically productive – capturing rainwater, growing food and generating energy. To get there we need to challenge out-of-date conceptions of city layouts, modes of transportation, food production and supply and even how our lives and work are structured. This is a time of mass transition and an exciting opportunity to reimagine what it means to be human. All interested parties, but especially code writers, designers, UX experts and entrepreneurs who want to join the Climathon on the day are invited to sign up, and help create new software and apps that will help Londoners adapt their lifestyles to become part of the climate solution. The Climathon is part of Climate-KIC’s journey to Paris. 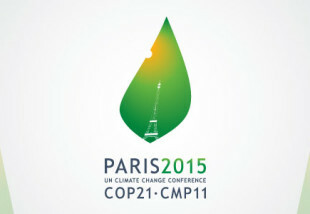 It runs from June until December 2015, with the UN’s crucial COP21 climate change summit as destination. Every week for 28 weeks, Climate-KIC puts the spotlight on a different part of Europe. Join us and meet the people and initiatives who are building Europe’s low-carbon economy!